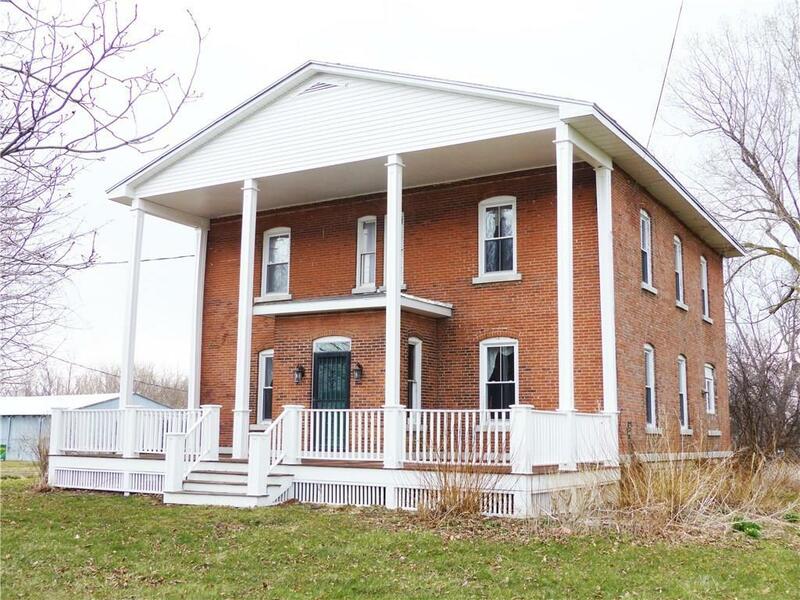 217 State Route 414, Waterloo, NY.| MLS# R1182925 | Coldwell Banker Finger Lakes | 315-789-6768 | Geneva NY Homes for Sale, FINGER LAKES PROPERTIES, Seneca Lake, Cayuga Lake, All of the Finger Lakes. Large Farmhouse with Out-sheds, Barn and acreage! This old style farmhouse offers original charm with original oversized doors and natural woodwork throughout. 1st floor- large eat in kitchen with butcher block island, 1st floor laundry, formal dining room, office, 3-season room, full bath and a double living room w/ original solid wood pocket doors and french doors to separate to a formal and casual sitting rooms with built in bookshelves. Foyers to both front and side entrances. Grand staircase has original woodwork and upstairs hallway hardwood floors and has original wood beam. 2nd floor- 4 extremely large bedrooms all with extra large closets, large full bath w/both stand up shower and separate tub. Large front porch, back brick patio, Animal out-shed/pens, large storage barn & shed. Directions To Property: Nys I-90 To Exit 41. Us Route 414, Sign On Premises.